Hover over this image (or any image in the post) to share it to Pinterest! Fun Things to do in Maui to add to your Maui Bucket List! Maui is a magical place. 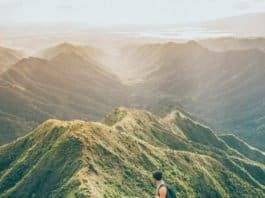 Unlike the busy, crowded islands that attract thousands of tourists to beaches and beautiful scenery, Maui is a tropical wonderland waiting to be explored by the most daring of island adventurers. 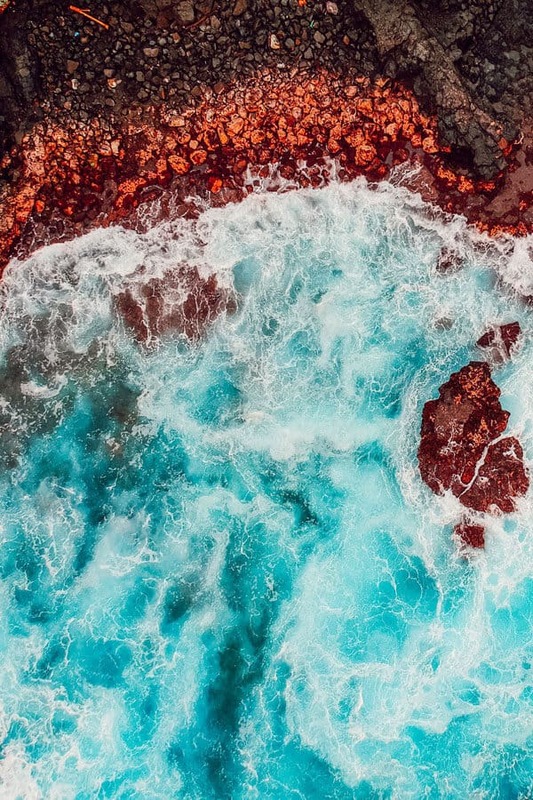 Although you can enjoy the most opulent of luxury in Maui, the majority of people visit the island to see its untamed beauty. Whether you are walking along side a volcano, surfing the waves, or taking the most exhilarating drive of your life! 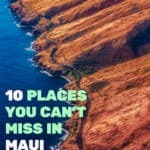 Read on to learn about the best places to stay in Maui, as well as some fun and free things to do in Maui. 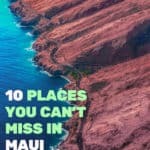 Don’t forget to comment below and let us know where your favorite spot in Maui is! 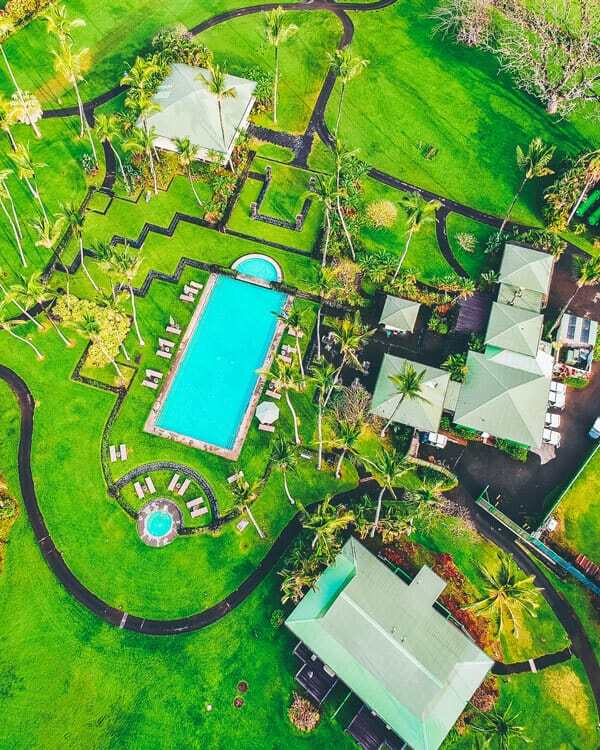 This is one of the more expensive resorts on Maui, but it’s also one of the most fantastic. If you are looking for the ultimate in beauty, food, and pampering, then you should stay here. This hotel is fairly small, with under a hundred guest rooms. This, and the fact that it is far away from the road and any other noise pollution, makes it the perfect place to stay in peace and quiet. You definitely don’t need to stay in a Maui vacation Villa to have a great stay in Maui. Mama’s Fish House is the famous restaurant on Maui, but most visitors have no idea that you can actually stay there. The suites and beach houses are very affordable. It is one of the best places to stay in. 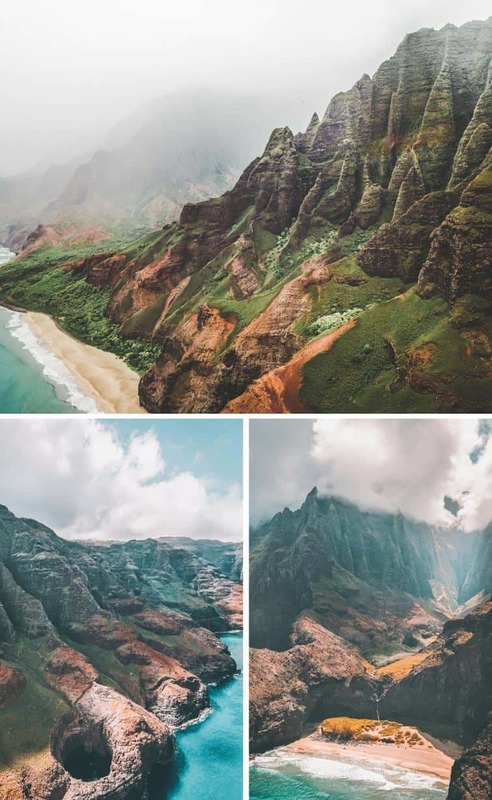 Looking for more inspiration to add to you Hawaii bucket list? Me too! And I have always felt that you can make almost any trip affordable. We went to Iceland after everyone was complaining about how expensive it was, it wasn’t for us. We brought granola bars and fruit to eat, made sure our hotel had free parking, free wifi, and most importantly free breakfast. I am not saying a trip to Hawaii or Iceland is going to cost you nothing. But it doesn’t have to be as expensive as you think. 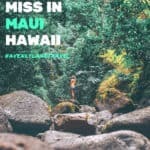 There are so many cool things to do in Maui that are completely free or really cheap, starting with a few of my favorite hikes and waterfalls! Hover over the image to share it to share it with your friends! The Seven Sacred Pools are one of the most popular attractions in Maui. This beautiful park has pools for swimming and waterfalls. 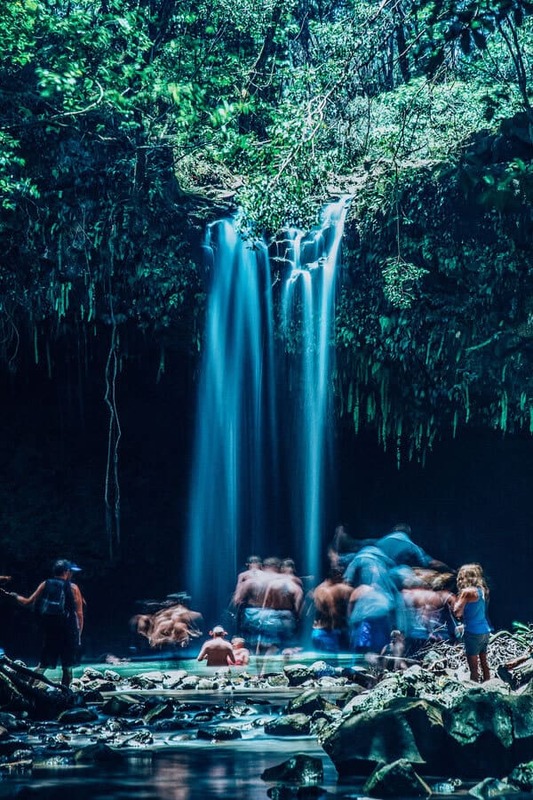 Even though it is prohibited, you will often see people jumping down the waterfalls. If you have a chance to go, make sure to get there as early as possible as it can get quite crowded later in the day. You will probably feel like you’re about to die during every one of the 600 hairpin turns on the Hana Highway. However, you won’t regret the awesome photo ops—or the dinner waiting for you at Mama’s Fish House once you arrive. How many miles is the road to Hana? Just over 64, but you’ll have plenty of interesting stops along the way. 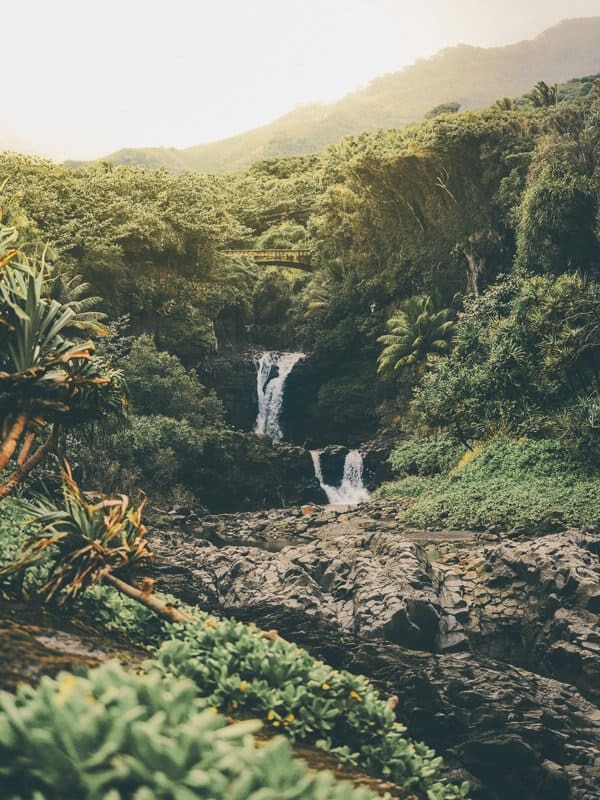 Check out the Waikamoi Nature Trail, Upper Waikani Falls, Waianapanapa Black Sand Beach in Maui and the incredible area of Haiku-Pauwela. 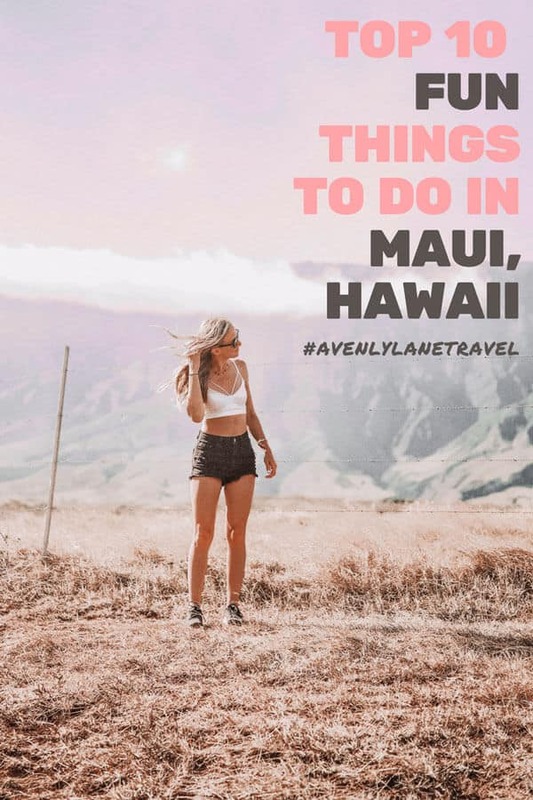 Black Sand Beach in Maui – one of the best beaches in Hawaii! 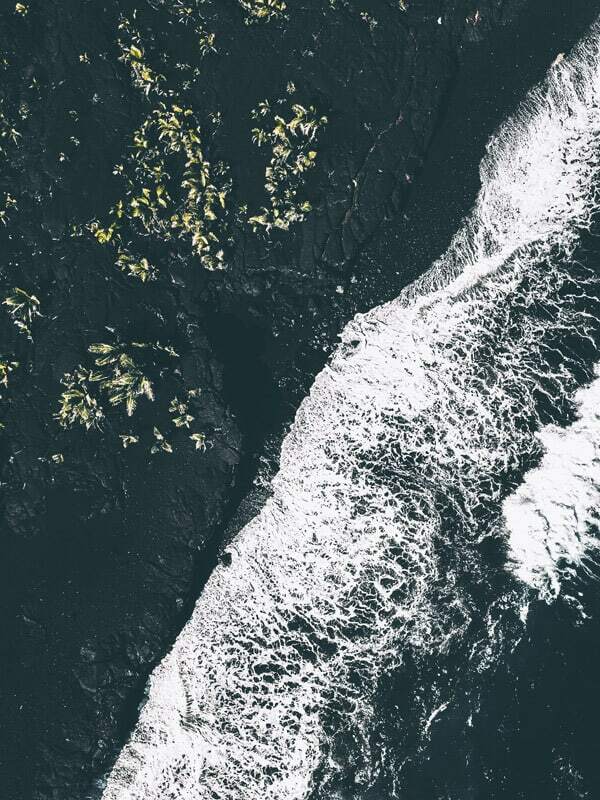 Check out one of my favorite black sand beaches in the world here. Can you guess what country it is in? Am I the only one that had no idea these trees even existed? 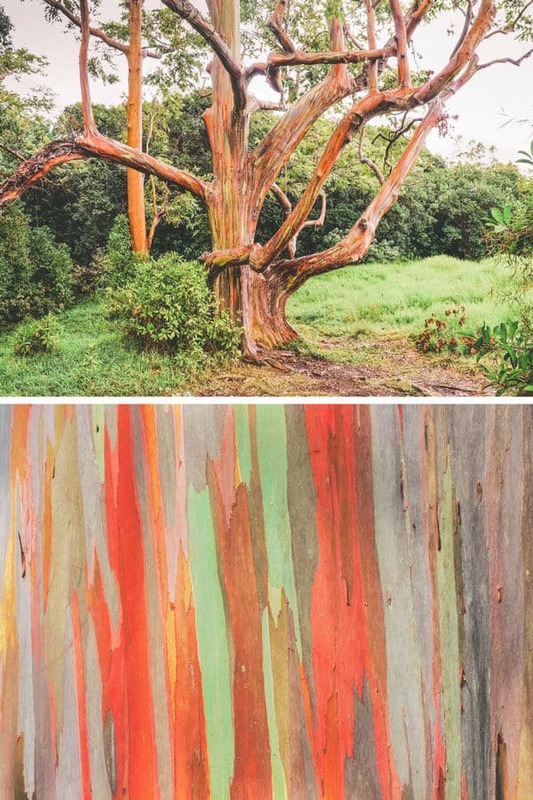 Rainbow tree bark on the Eucalyptus trees! The various colors form due to the outer layer of the tree continually peeling away and changing colors. 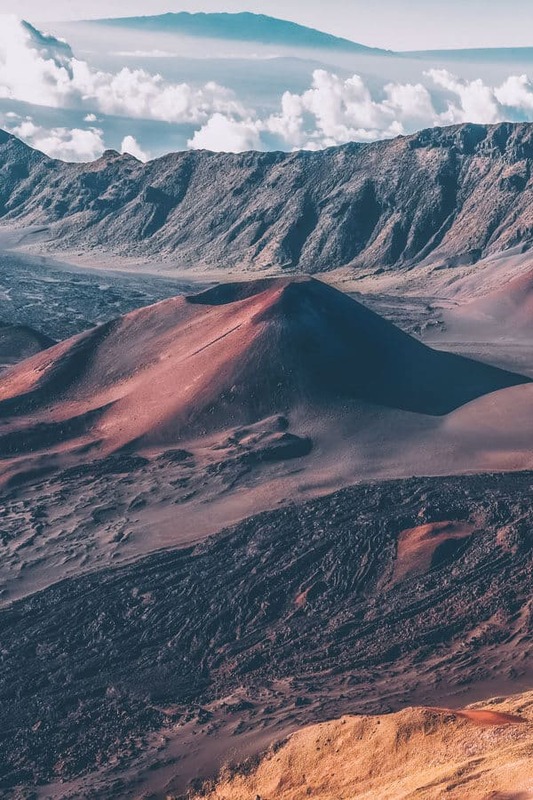 Most people are surprised to learn that Hawaii features some exquisitely beautiful red sand beaches. 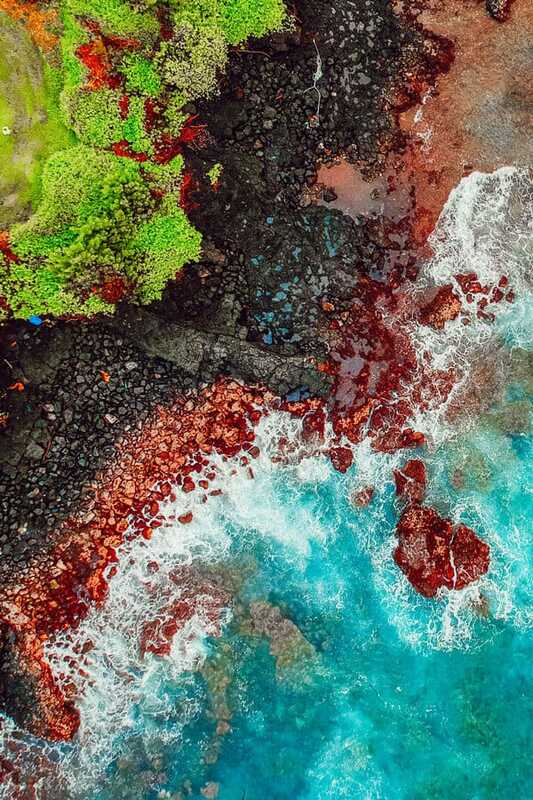 Kaihalulu Beach in Hana, Hawaii is one place where you can observe this phenomenon, but be prepared for a decent hike to uncover this gem. This is one of the best beaches in Hawaii but it can be a little tricky to get to as the trail is pretty steep. Make sure if you go you bring proper shoes and take extra caution if it is wet or raining. Also worth noting is that due to the secluded nature of this little piece of paradise, Kaihalulu is known unofficially as a clothing-optional beach. So don’t be surprised if you end up seeing some things you weren’t quite prepared for. 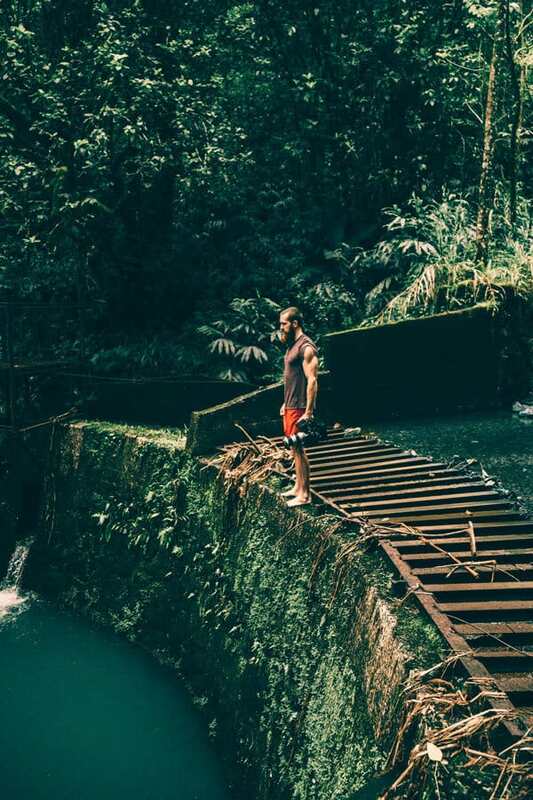 If you take Pipiwai Trail on the Road to Hana, you’ll end up at Waimoku falls. A long hike of a few hours will bring you to a thundering sheet of water cascading down a sheer volcanic rock face. Stunning! 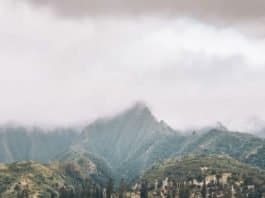 Haleakala National Park is one of the best cheap things to do in Maui. 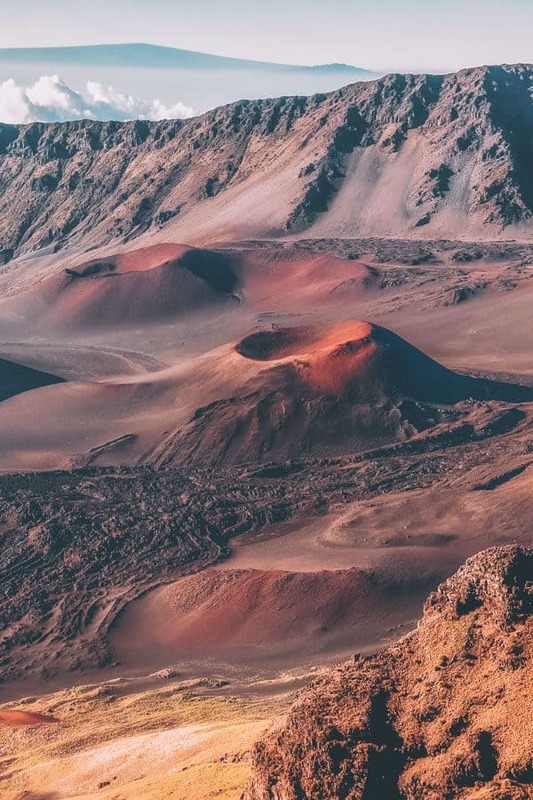 You won’t find any beaches or tropical vegetation here—just the moonlike landscape of a dramatic volcano! 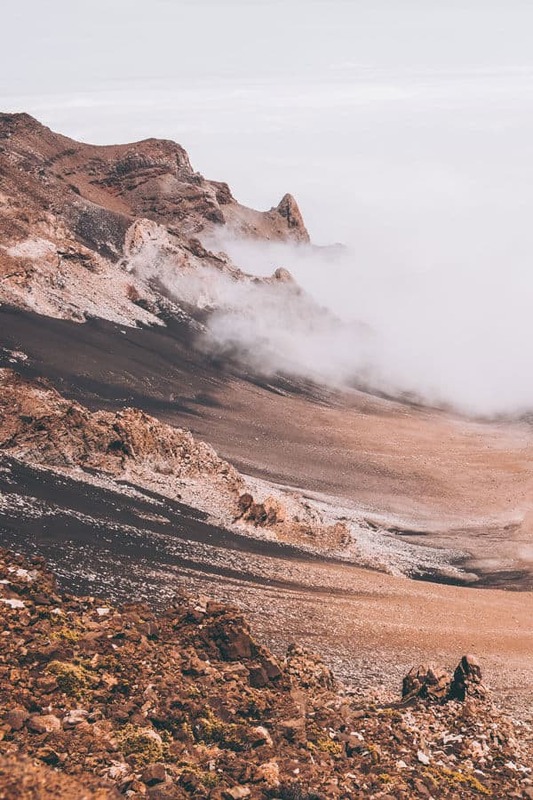 Hiking Haleakala Crater is a tough climb, but it’s worth it. The views here are incredible! 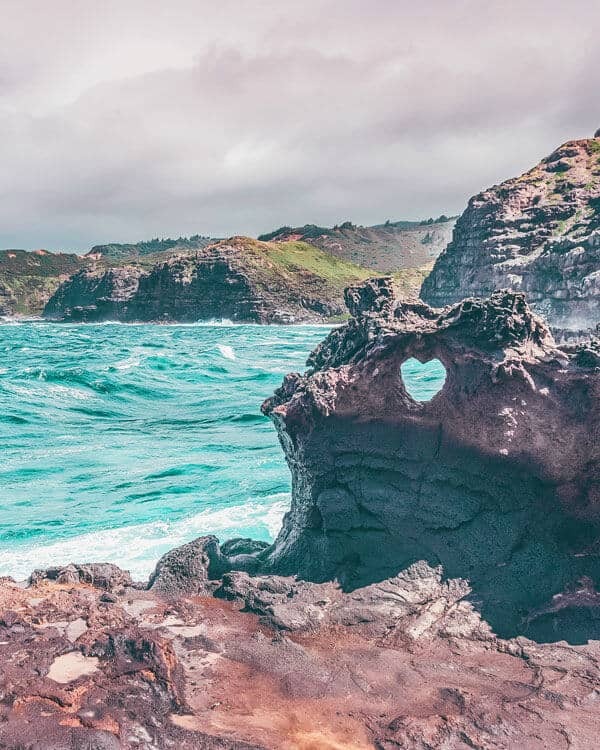 Although most people call this the heart shaped rock, it is more of a heart shaped hole. Either way, this romantic spot is definitely worth a visit. It is located right by the Nakalele Blowhole. Which just so happens to be our next point, so keep reading! You (probably) won’t see a volcanic explosion while in Maui, but the Nakalele Blowhole is the next best thing. This is a geyser of seawater that explodes from a rock beside the ocean. Be sure to bring your camera! 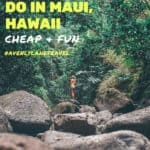 This isn’t a cheap thing to do on Maui, but it’s a worthwhile thing to do! If you want to see the whole island, you can’t beat this view. Some tours also take you over the hard-to-access island of Molokai. 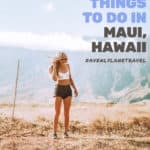 There’s so much to do on Maui! What will you do first—hike, fly in a helicopter, or take in the views? 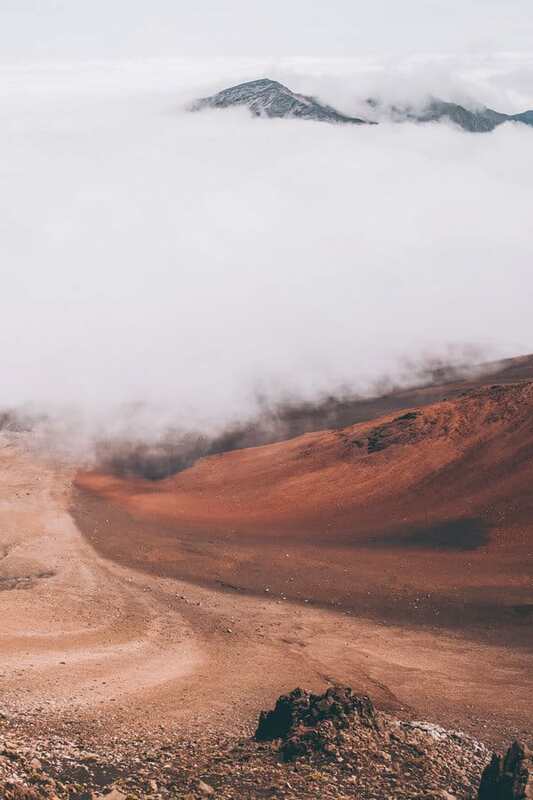 Whatever you choose, you’ll be sure to have an exhilarating adventure and an incredible stay on Maui. 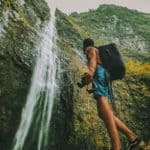 There are so many incredible waterfalls in Hawaii, Twin Falls is just one of my favorites. Make sure to also check out the Twin Falls Maui Farm Stand before hitting the trails. There is nothing more refreshing than some fresh coconut water straight from the coconut itself. So those are a few of our favorites, now over to you guys! Comment below and let us know what would you add to the list of the best things to do in Maui?! Hover over the image to share it to Pinterest! What a wonderful vacation! 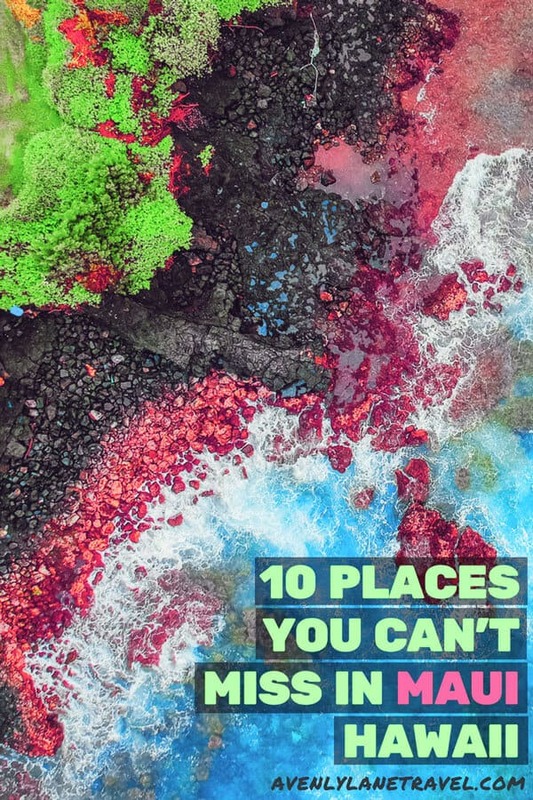 These places look great and I hope to be lucky enough to go visit one day. Visit the Maui Brewing Company and sample many of the local beers with the purchase of a flight. The office building is very impressive and modern. Food trucks are close to the front of the bar. The bar has entertainment and a patio for eating your food purchase.